There are very few experiences in life that are more stressful than a divorce. Not only is there uncertainty concerning your future, but there’s paperwork to file, plans to be made, finances to be sorted out, and your children are likely having a tough time adjusting to the separation. It feels like your life is eroding and your children no doubt sense your anxiety concerning the future. Custody battles can get very ugly very quickly. You need the best Austin child custody lawyer that you can find. Family law firms generally have attorneys who focus only on child custody cases. When clients are locked in a serious child custody dispute, the best family law practices will call in an attorney who has experience litigating these types of cases. Hopefully, your divorce will go much more smoothly and custody won’t turn into a tug-of-war. But if that doesn’t happen, you need someone who can make your perspective legally actionable and will fight tirelessly on your behalf. That means doing the legwork and gathering the evidence you need to make the best case possible. That also means taking the pressure off of you to formulate the grounds on which you will claim to be the best fit for your children. With so much to do to get yourself and your children situated, a skilled child custody lawyer can take a great deal off pressure of your shoulders. That means freeing up your time to focus on your children. To be sure, the courts in child custody cases won’t be considering what’s best for you or your former spouse in a case like this. They will be focusing on what’s best for your children. That means the less stressed out and more stable you are, the greater the likelihood that they land with you. ● Does your child have special needs? ● Which parent is better to handle those needs on a day-to-day basis? ● Which parent provides the child with better continuity and stability? ● Will one of the parents be moving out of state? ● Is there a history of drug and alcohol abuse in the family? ● Is there a history of physical or emotional abuse in the family? A child custody lawyer who is experienced in these issues will not be taken off guard and can use much of this to your advantage. If custody of your children has become hotly contested, you want to be sure that your lawyer is comfortable with the litigation aspect of your case. An Austin child custody lawyer will not only be more available than out-of-city lawyers, but they will also have a familiarity with local judges, local laws, and local precedents. This can only help you as they make your case in court. Just like any kind of lawyer, child custody lawyers should have a specific set of qualities. You want a lawyer who is not only going to be a fierce advocate for you but also your children. Therefore you want someone with a little bit of fire in their belly, but more importantly, you want someone who can empathize with your position. You want someone who you feel like you have a good working rapport with. You want to ensure that your needs are understood as well as your children’s. You must able to trust the fact that your lawyer has yours and your children’s best interests at heart and that they have a firm understanding of what those needs are. Under Texas law and the Texas Family Code, joint conservatorship is generally considered in the best interest of the child. That is to say, that is the default presumption. Here, the term conservatorship refers to custody. Visitation is itself a distinct concept entirely. The appointment of sole custody is rare in Texas. An attorney who can successfully argue the unfitness of another parent or defend you from allegations of being unfit requires experience in Texas law. 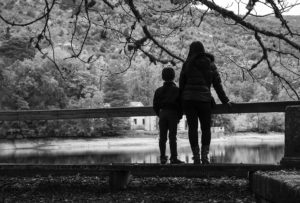 Even when the court determines that joint conservatorship is best for the child, the question of where the child will live as a primary residence has yet to be decided. The custodial parent has a significant amount of power over the custody arrangement. They can pack up and move the children to another state or county without the non-custodial parent’s consent. A good child custody lawyer can help you establish a geographic restriction that prevents the custodial parent from moving your children away from you. In most instances, Texas courts will find that neither parent is unfit enough to not share conservatorship. But the battle may not end there. If the parents can’t come to terms on a key decision, such as a where a child should go to school, then one parent may be awarded executive decision-making rights over a key domain. If you’re worried about what the court will decide in terms of your children or feel strongly that your ex-spouse is unfit for them, contact the Law Offices of Ben Carrasco at 512-320-9126 for a consultation today. We are prepared to assist you throughout each step of your case.